Spoilers ahead for Black Mirror season four episode one, “USS Callister”. If you haven’t seen the episode, turn away and come back later. 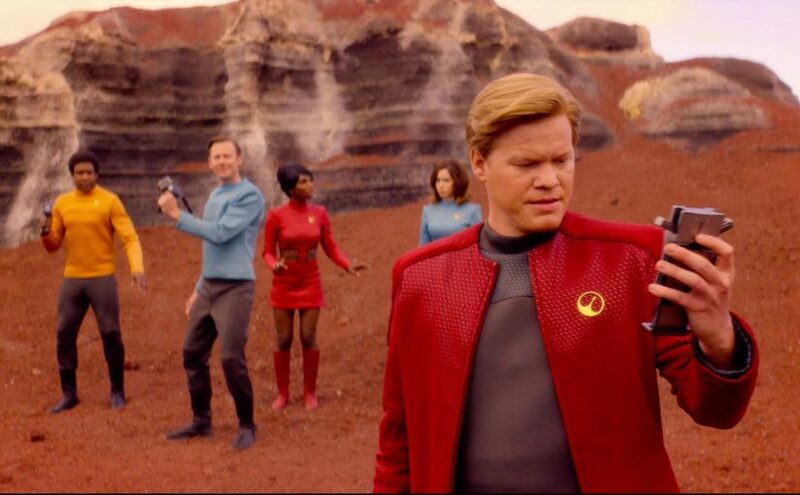 At its surface, “USS Callister” – the first episode of anthology sci-fi series Black Mirror’s fourth season, out since Friday on Netflix worldwide – seems like a parody of Star Trek. It’s how the poster, stills, trailer, and the title have been set up, but that’s merely because marketing any episode of Black Mirror is a challenge, given its reliance on twists. (It’s also why Netflix prohibited us critics from revealing much about it.) The one in “USS Callister” appears less than 10 minutes into the episode, when it’s revealed that it’s all just a locally-stored Trek-themed fork of a popular virtual reality game. From that moment on, the Trek inspiration turns merely into elaborate dressing, from the clothes to the sets, which hews as closely as possible to Gene Roddenberry’s vision with the 60s original series, without getting the CBS lawyers off their cushy seats. The real target of the episode are the power fantasies of human beings, and how can they can go very quickly from harmless to beyond creepy with advances in technology. 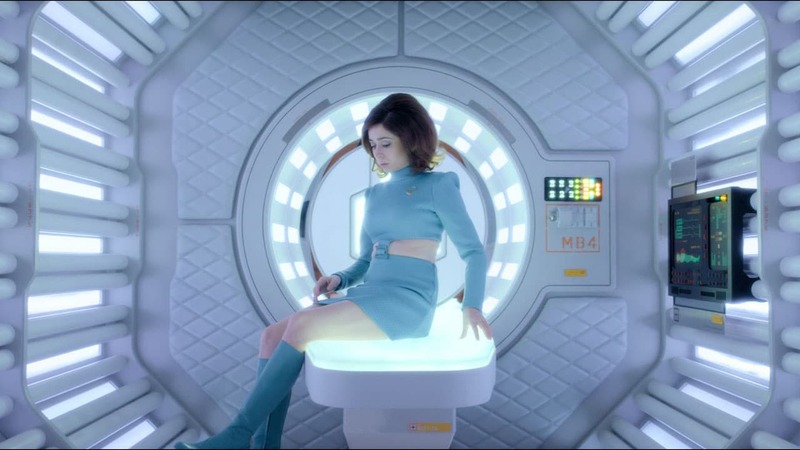 Black Mirror has always been fascinated with digital consciousness – first with “White Christmas”, then “San Junipero”and now this – though it gets a much heavier focus on “USS Callister”. Out in the real world, Robert Daly (Jesse Plemons) is the brains behind the online multiplayer VR creation, but he’s always been the ignored nice guy. He doesn’t get the credit unlike the public-facing Walton (Jimmi Simpson) – the CEO calls himself the “shiny front-end”, and refers to Daly as the back-end – he’s laughed at by his colleagues at the company, and he doesn’t get the reception he expects from the receptionist. Black Mirror makes it easy to sympathise with him, and view him as someone who can’t catch a break, but then turns that image on its head over the next hour. Annoyed and incensed by how he’s treated, Daly has created a modded version of the game, and he’s slowly introduced digital clones of his co-workers by stealing their DNA from the office, and using high-end tech to recreate them in the virtual reality. New employee Nanette (Cristin Miloti), who admires Daly professionally, is pulled in after he overhears her dismissing the idea of liking him in personal capacity. There, he expects her to be nice to him and forces her to comply when she refuses, like he’s already done with everyone else. In short, he’s the God. But unlike, say, in a game of The Sims, his actions are far from harmless. The digital clones can think and feel pain like their counterparts outside, so when Daly demands a kiss from every female crew member at the end of each playthrough, or torments someone by creating a clone of their son and killing him in front of them repeatedly, that carries a lot more weight than starving a Sims baby to death. 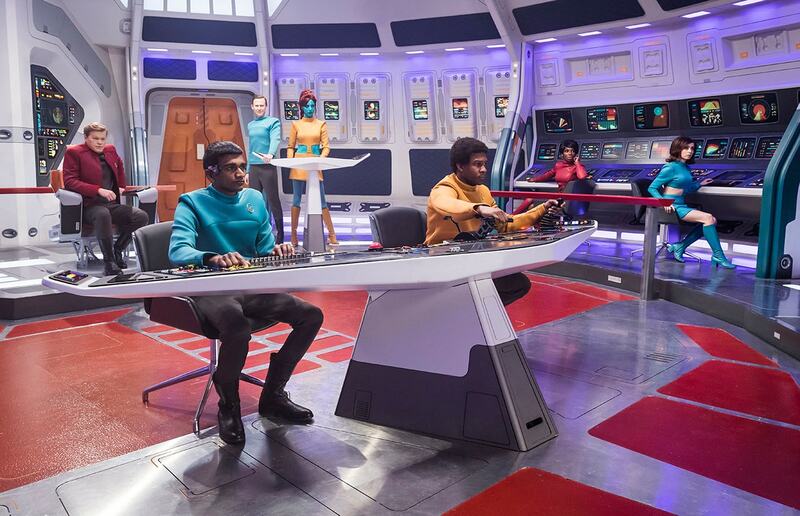 Black Mirror has always tried to warn us about the unanticipated dangers of new technology, and “USS Callister” posits how it can enable harmless creeps – Daly doesn’t seem bold enough to be a criminal – from acting out their fantasies. That doesn’t make his actions any less criminal, though whether the laws in “USS Callister” have caught up to the available technologies is entirely unknown. Is Daly as bad as someone who would torture people in real life? Since the in-game versions of his co-workers have consciousness too, should Daly pay the same price as a criminal would in our world? And should a citizen be allowed to own a device that can help you digitally clone someone in the first place? Those are all questions raised by the episode, which has been directed by Toby Haynes (Doctor Who, Sherlock). But Charlie Brooker, the creator of Black Mirror and co-writer on “USS Callister”, is more interested in creating an empowering story. Nanette is the true protagonist here, as it becomes clear, but the episode hides that by introducing us to the world from Daly’s eyes. We’ve all experienced situations where we’ve wanted to have control over someone, and that makes seeing Daly go through with that all the more harrowing, because there’s a bit of him in all of us. “USS Callister” also ends up being accidentally timely, what with a woman having to escape from the clutches of a man who views her as an object serving as an allegory for the ongoing #MeToo social movement that erupted across the globe in the wake of sexual assault allegations levelled against major Hollywood producer Harvey Weinstein. In the episode, the video game versions of Callister employees are stuck in a universe where Weinstein is the only movie producer, so they have to work within those restrictions or face retribution. While her other co-workers have chosen to give in, Nanette comes up with a strategy to free themselves from Daly’s control, which involves blackmailing her own self out in the real world. By doing so, she actually makes the original version of her self commit a crime – breaking and entering – who remains completely oblivious to how she’s helping a few digital souls escape their tormentor. We aren’t told how this impacts real-Nanette when Daly is inevitably found dead, but clone-Nanette ends up in a procedurally-generated world with infinite possibilities. Black Mirror also gets in a dig about online gaming, with the first encounter for the digital clones being a conceited gamer – cheekily voiced by Aaron Paul’s distinctive voice – who threatens to blow them up for not serving his purpose. As an exasperated Nanette instructs her crew to warp away, he proclaims himself as ‘the king of space’, the words sounding hollow as you look at the vast virtual emptiness. The world will never be perfect, “USS Callister” argues, but you’ve always got to fight to make it better. 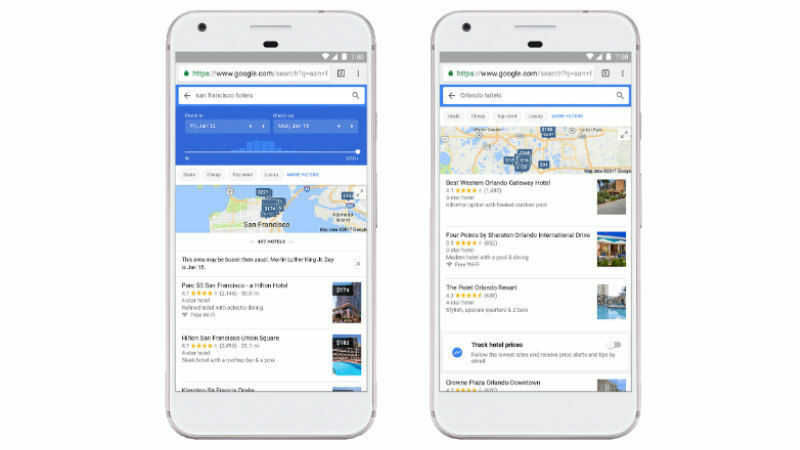 Making the experience better during this travel season, Google Flights has received a new update that expands the coverage of its Tips with enhanced machine learning efforts to make hotel bookings cost-effective. Google Trips, on the other hand, now comes with a Discounts feature. Back in August, Google Flights was upgraded with Tips feature, which offered recommendations to save air travel costs. The feature was originally limited to flight bookings. But now, Google has used machine learning to provide you with tips even when you pick a hotel for your stay. You will receive tips above the results of your hotel bookings when room rates are higher than usual, or if the area is busier than usual due to a holiday or in case of any occupational instance such as a music concert or a business conference. All this will eventually help you avoid the busy dates and get the hotels at an affordable charge. In addition to tips about the change in prices, you can opt for Hotel Price Tracking on your smartphone to get email price alerts about price drops on your choices of hotels. This new feature will also be available on the desktop version of Google Flights site in 2018. Alongside the updated Google Flights, Google has brought a new version of the Google Trips app with the Discount feature. The new addition will give you instant access to deals on tickets and tours related to top attractions and activities. “Book and save on a tour of the Mayan ruins near Cancun, or get priority access to the top of the Eiffel Tower in Paris. No matter where you’re headed (and if you need ideas, read on), Trips makes it easy to browse and access fun stuff to do on your vacation without breaking the bank,” Google VP of Travel Products Richard Holden said in a blog post. Deals through the Discount feature on Google Trips will surface for various top attractions, activities, and tours around your location in the coming days. People in the US will soon have an option to take a screening test on Google to know if they are depressed or not. Now, when users in the US will search for “depression” on Google, they will see a box atop the results on mobile, which the search giant calls a Knowledge Panel. The Knowledge Panel contains information on what depression is, what its symptoms are and the possible treatments. “Now when you search for ‘clinical depression’ on Google on mobile, you’ll see a Knowledge Panel that will give you the option to tap ‘check if you’re clinically depressed’, which will bring you to PHQ-9, a clinically validated screening questionnaire to test what your likely level of depression may be. To ensure that the information shared in the PHQ-9 questionnaire is accurate and useful, we have partnered with the National Alliance on Mental Illness on this announcement,” Google said in a blog post. According to Google spokesperson Susan Cadrecha, cited by The Verge, the feature is being rolled out on mobile in the US soon and it is not meant to subvert a medical evaluation. “The results of the PHQ-9 can help you have a more informed conversation with your doctor,” according to National Alliance on Mental Illness (NAMI), which partnered with Google on the questionnaire. 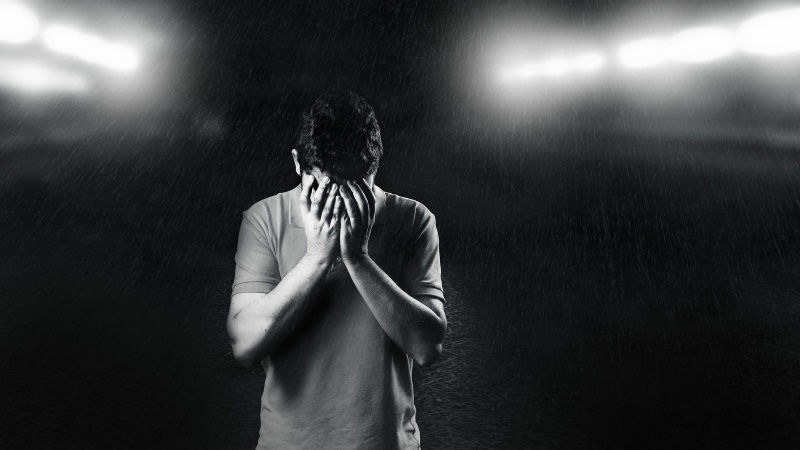 According to NAMI, clinical depression is a fairly common condition with almost one in five Americans experiencing an episode in their lifetime. But only about 50 percent of people who have depression get treated for it. “Mental health professionals often refer to major depressive disorder as clinically significant depression or clinical depression. Clinical depression is a treatable condition which can impact many aspects of a person’s life. 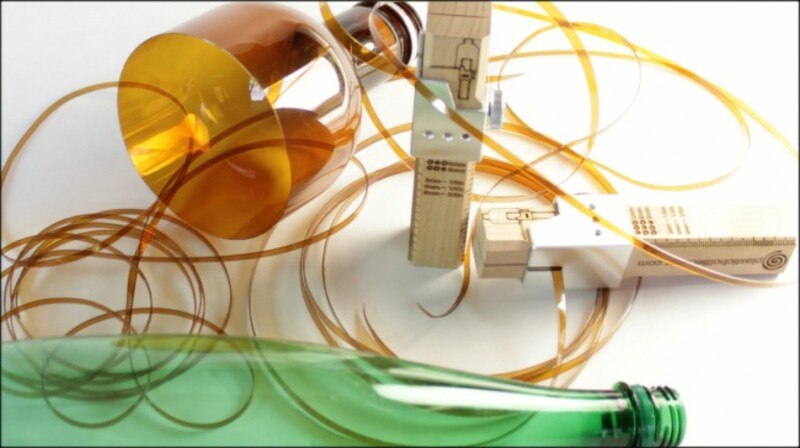 The PHQ-9 can be the first step to getting a proper diagnosis,” the NAMI statement added.